Maintaining a lush, green yard is difficult, but with 4 big dogs running around it’s even harder. That’s where ForeverLawn Northern Ohio comes in. Our client in Brecksville, Ohio was tired of seeing a muddy, torn up lawn due to his 4 big dogs and decided he needed a permanent artificial grass solution. 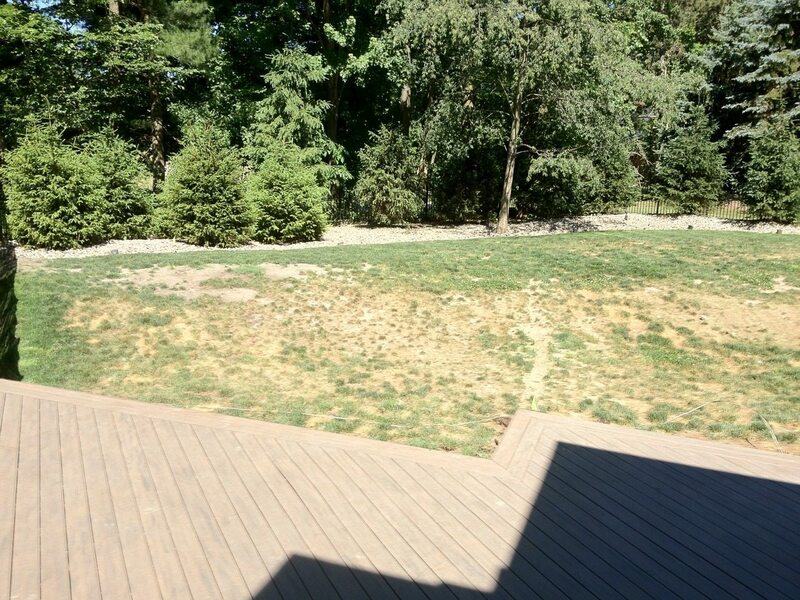 Our team at ForeverLawn Northern Ohio assessed this Brecksville property and decided that K9Grass Classic would best suit the project. We installed roughly 2,900 square feet of K9Grass, and the transformation is remarkable. What started out as a brown, patchy backyard is now a lush, green oasis where the client can let his dogs run free without worrying about damage. In addition to solving our client’s problem, we also greatly improved the appearance of his backyard landscape. We take pride in our quality and efficient artificial grass installations, and this project was no exception. Our K9Grass features a flow-through backing system that efficiently drains liquids out of the turf, as well as antimicrobial protection to keep the turf fresh, clean, and free from bacterial growth. Each blade of K9Grass is made from quality and highly durable materials that make it difficult for dogs or other animals to tear through the artificial turf, so the client no longer has to worry about his dogs tearing up the yard. If you, too, have dogs and worry about the damage they are doing to your lawn, K9Grass is the best solution for you and your dogs. Not only will K9Grass transform your lawn, but your dogs will have a clean, safe area to play. 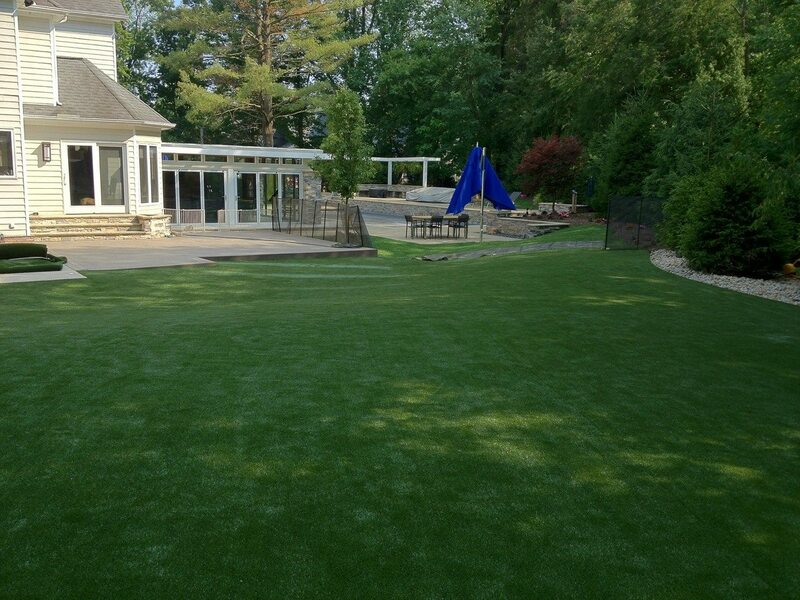 Contact ForeverLawn Northern Ohio today to find out more about K9Grass, or to request a quote on your project.